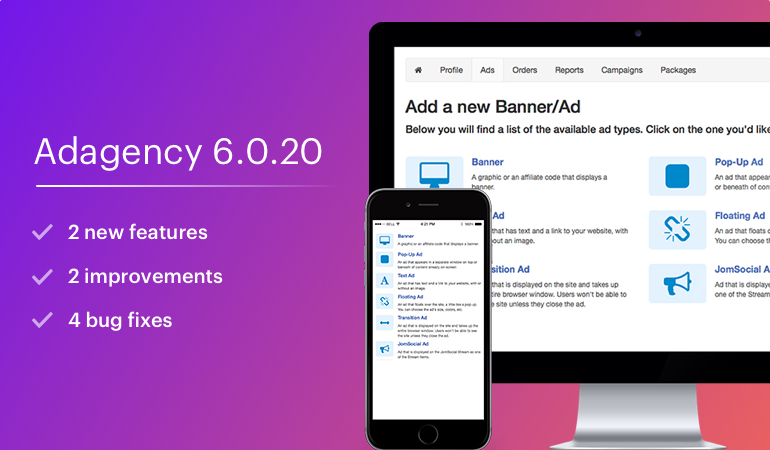 This weekend we are releasing updates for Joomla Ad Extension: Ad Agency 6.0.20 for major new features and improvements. This release contains the new features for the HTML 5 Ads type and Access level control for Ad packages. 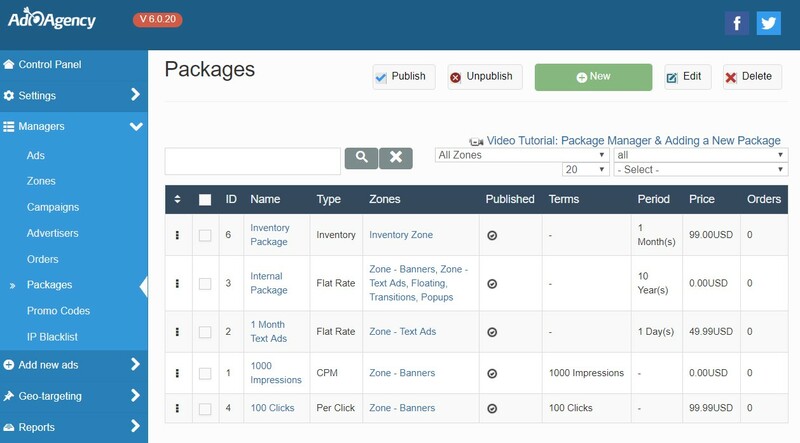 Ad Agency 6.0.20 comes with a new access level for the ad packages, Now you can restrict different Joomla user groups to access the ad packages. You can select single or multiple Joomla user groups. To Check this option on Ad Agency extension, Login to Joomla admin page > Components > Ad Agency Pro > Managers > Packages > Creat a new package or open Already exist ad package. This is one of the important features that allows creating HTML5 ads using Ad Agency. We added a dedicated option to add this type of ad. To create a new Ad with HTML5 option Components > Ad Agency Pro > Add new ads > HTML5 . Put the html5 ad URL in the Properties tab.